hello saskatoon: Nike SB Dunk Low "Supreme"
It's been ten years since the original Supreme Low Pro SB. 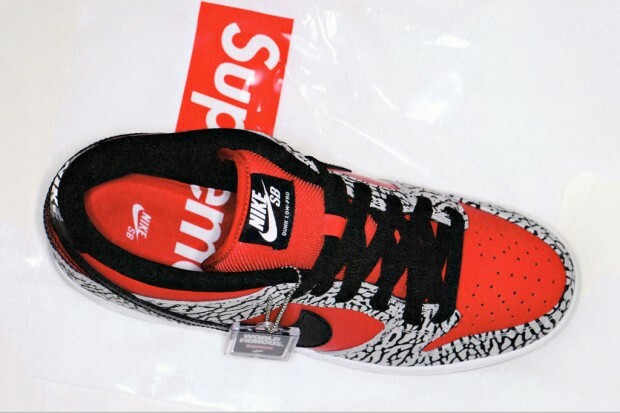 Once again they use the cement print, but this time with a red leather upper. People are still asking for an SB comeback, what are your thoughts? These will be released in June, 2012. Dope. Are these limited or will marketplace be getting them? These will be limited. They will most likely sell quickly in their own stores as well as online store.